Having fallen well and truly off the healthy eating wagon a few weeks ago, it’s time to get back to eating foods that feel good for my body: this means avoiding wheat, (cow) dairy and sugar. I know that these three food groups aggravate my CFS symptoms, so it makes sense to keep away from them for a while. I needed to replenish my freezer stash of healthy choices, so I can be prepared and avoid temptation – which is most dangerous when I’m feeling really wiped out and have no energy to get creative in the kitchen. 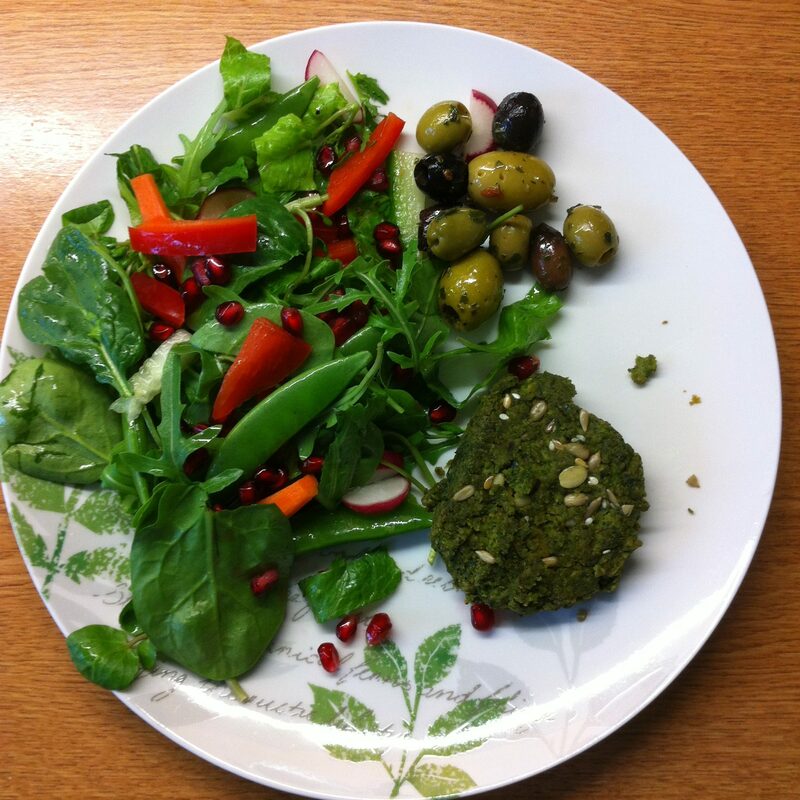 My absolute favourites are Green Burgers (thank you Teresa Cutter!). 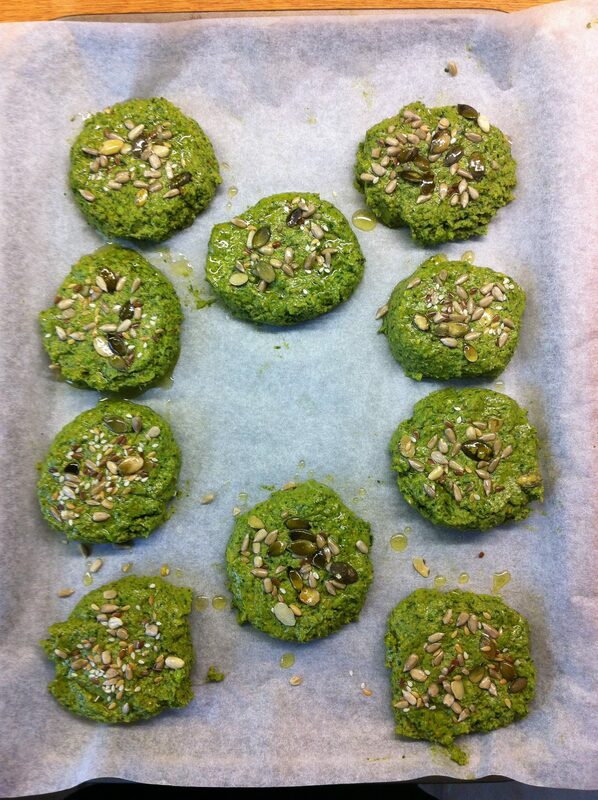 Packed with green goodies, pistachios, peas, coriander, spinach and green onions, along with chick peas and some yummy flavourings – these are one of the most tastiest things I’ve ever made. Honest! 1. Preheat the oven to fan 180°C/Gas mark 4. 2. 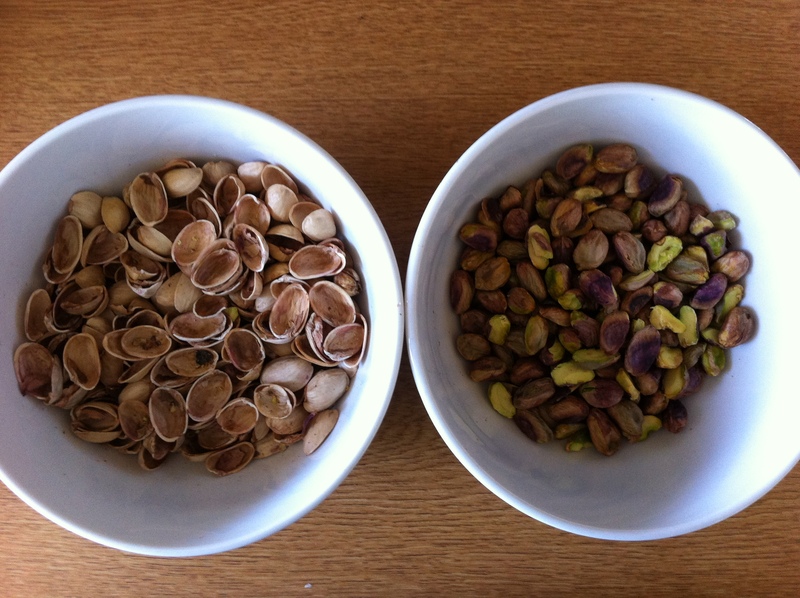 Grind the pistachio nuts coarsely for 10 seconds in your food processor. 3. 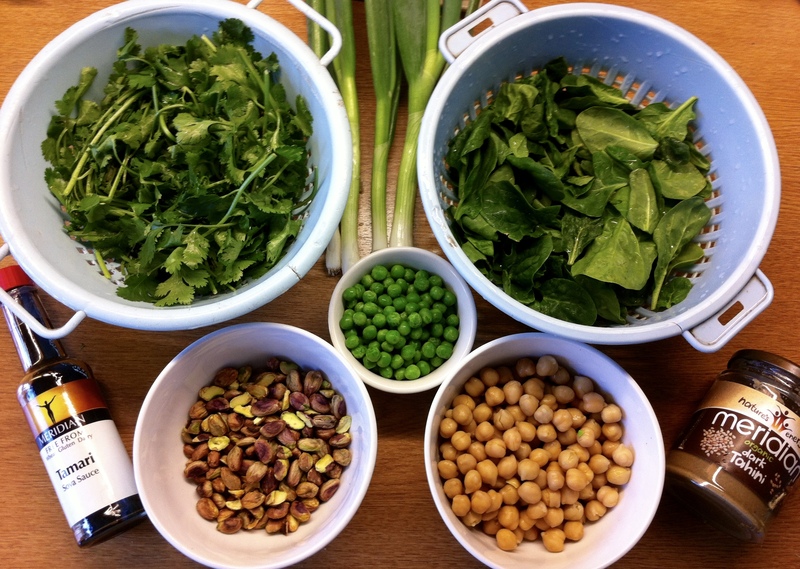 Add the drained chickpeas, green peas, coriander, spinach, spring onions and pulse again until combined. 4. Add the tahini, pepper and tamari. 5. Pulse again until combined. 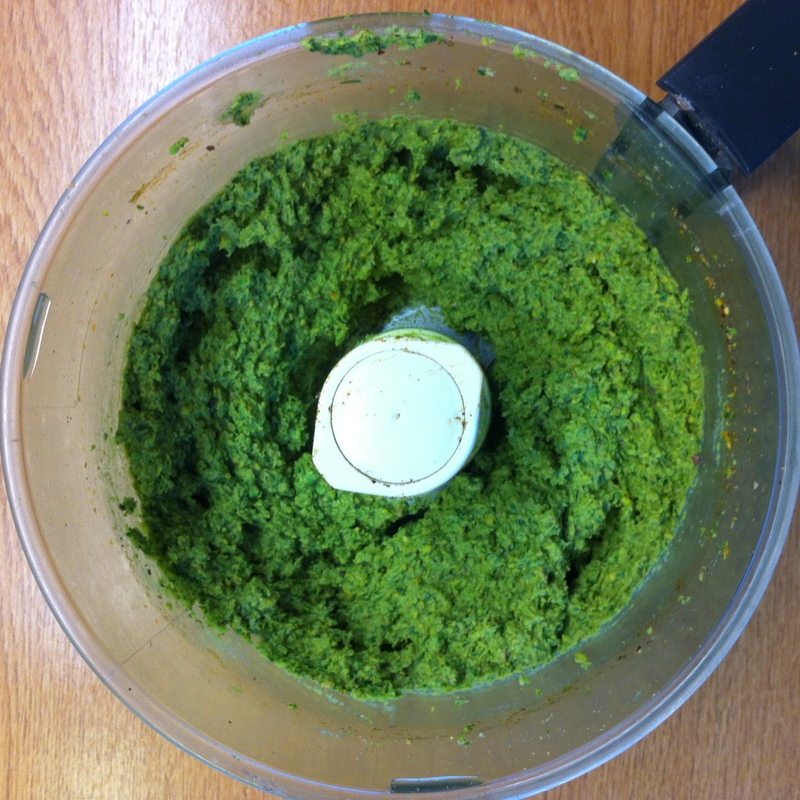 You should have an awesome green vegetable mix that comes together when pressed. 6. 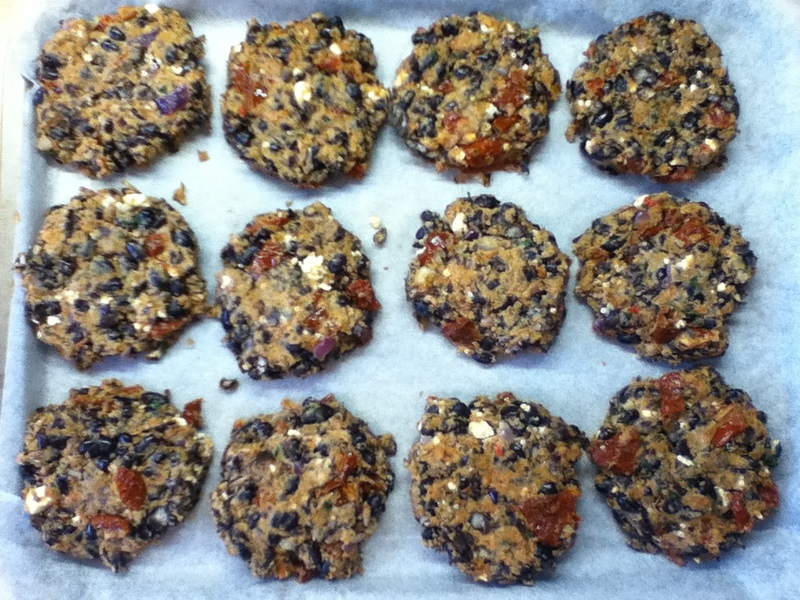 Form into 10 burgers (I scoop the ingredients into a 1/4 cup, turn and tap to release, and then gently flatten). 7. Coat with pumpkin and sesame seeds for garnish if you like for presentation. 8. Drizzle or brush tops with a little olive oil and bake in oven for 20 minutes until heated through and golden. 9. Serve with salad or stir fry veggies. 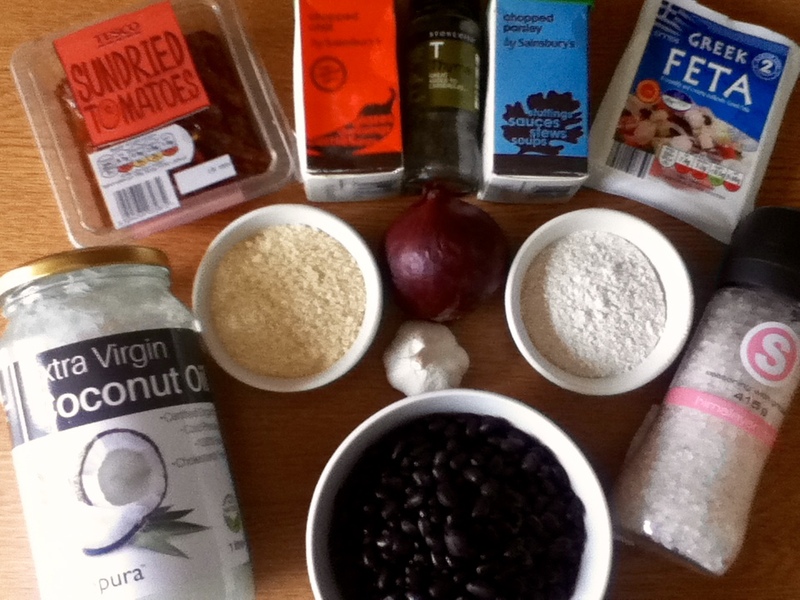 Next it was time to make some Feta and Black Bean Burgers. The sun-dried tomatoes make these extra yummy and the chilli gives them a nice little kick, or a big kick if you’re feeling spicy! 2. Heat the oil in a pan over a medium heat and fry the onion until softened but not coloured. 3. Stir in the garlic and cook for a few minutes before adding the drained cooked beans. 4. Mash the beans roughly with the back of a wooden spoon so that their excess moisture evaporates in the heat of the pan. 5. 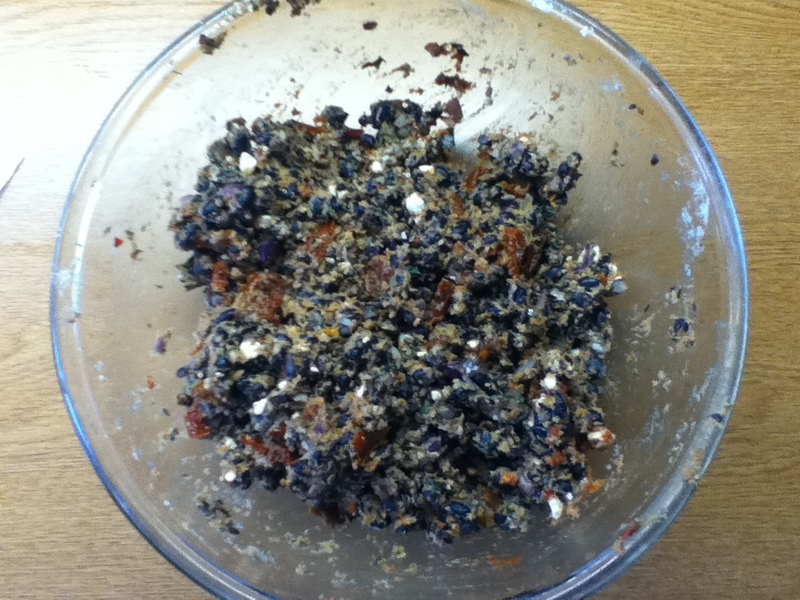 Transfer the bean mix to a bowl then stir in the flour and ground almonds and mix well to combine everything together. 6. Gently fold in the rest of the ingredients and check for seasoning, adding a little salt, if needed, or more chillies, if you like. 7. When the mixture is cool enough to handle, form the mixture into 12 burgers (I scoop the ingredients into a 1/4 cup, turn and tap to release, and then gently flatten). 8. Bake the burgers in the oven for about 40-50 minutes until crisp on the outside and golden brown, turning them over halfway through the cooking time. 9. 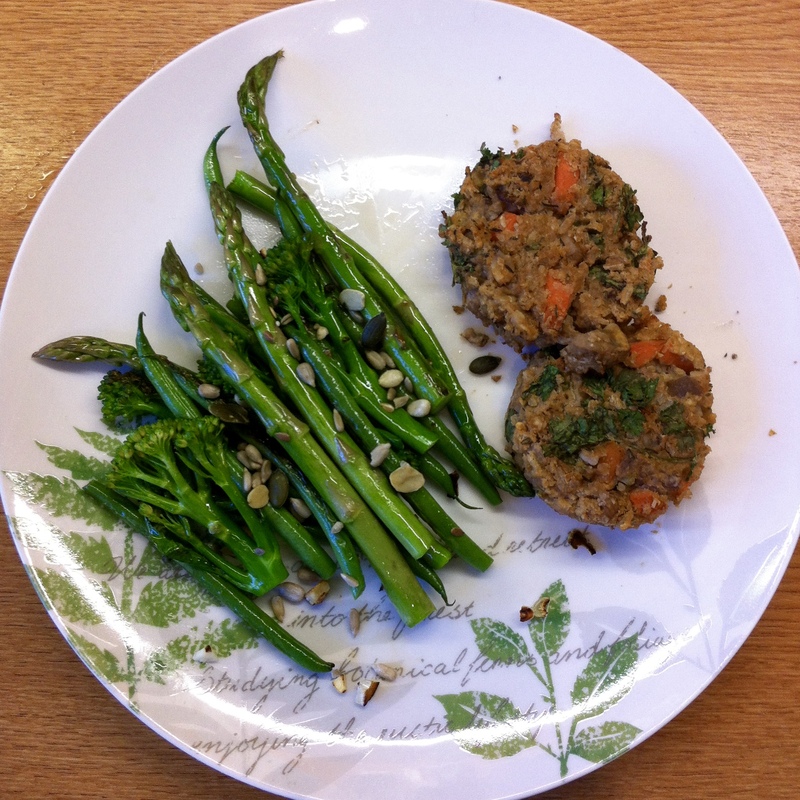 Serve with salad or stir-fried veggies. 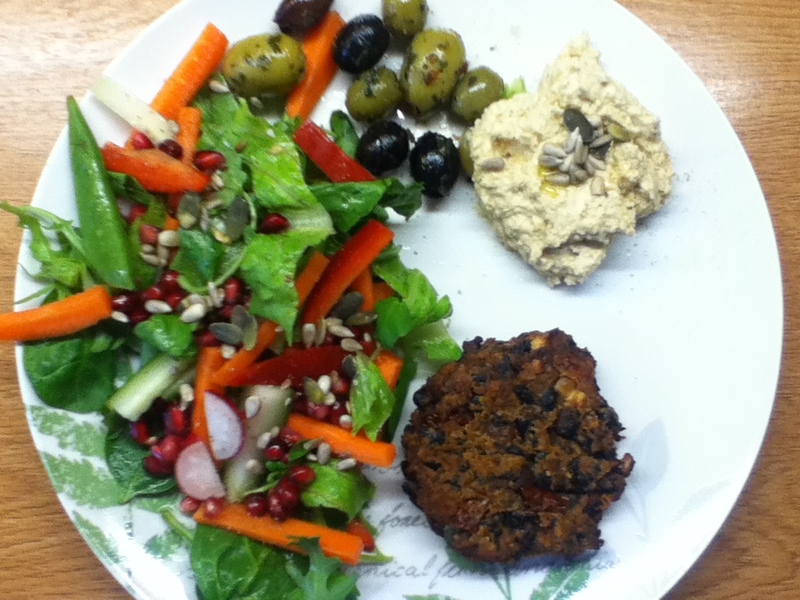 And finally, I made these earthy Lentil and Walnut Burgers. 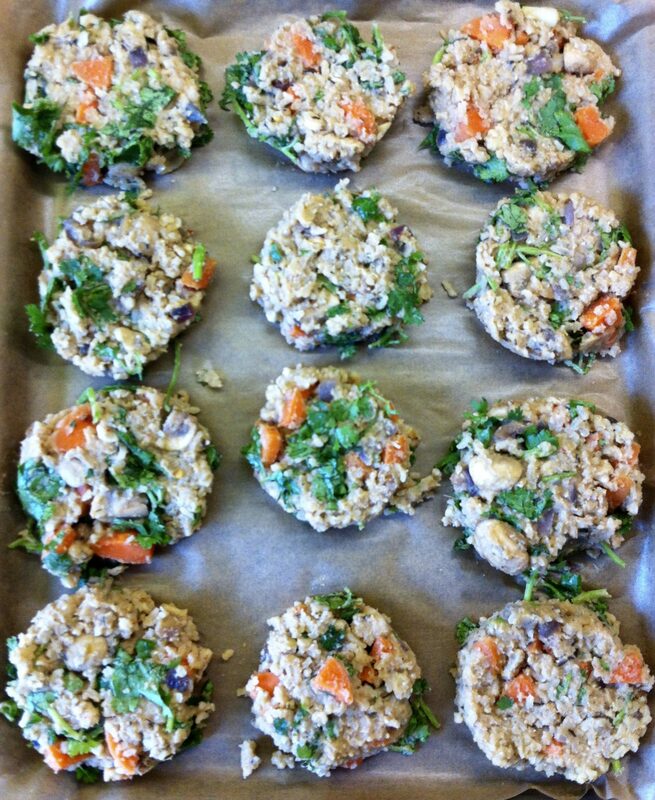 These are a little more filling as they contain brown rice and they have a nice crunch thanks to the walnuts. 2. Heat olive oil in a large pan over medium heat. 3. Add onion and cook until soft. 4. Add carrot, mushrooms, , thyme, dried chilli and cook, stirring frequently, until softened, about 5 minutes; transfer to a large bowl. 6. 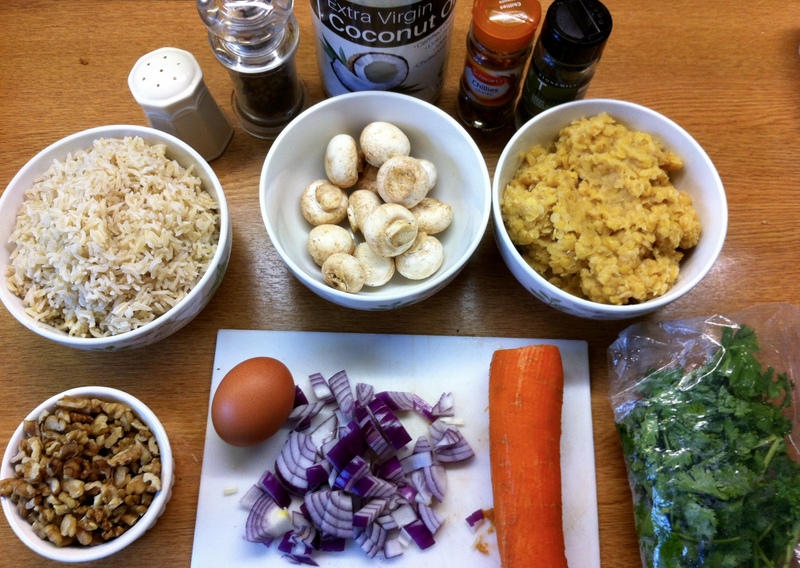 In a food processor, purée 1 cup rice, lentils and egg until smooth. 7. 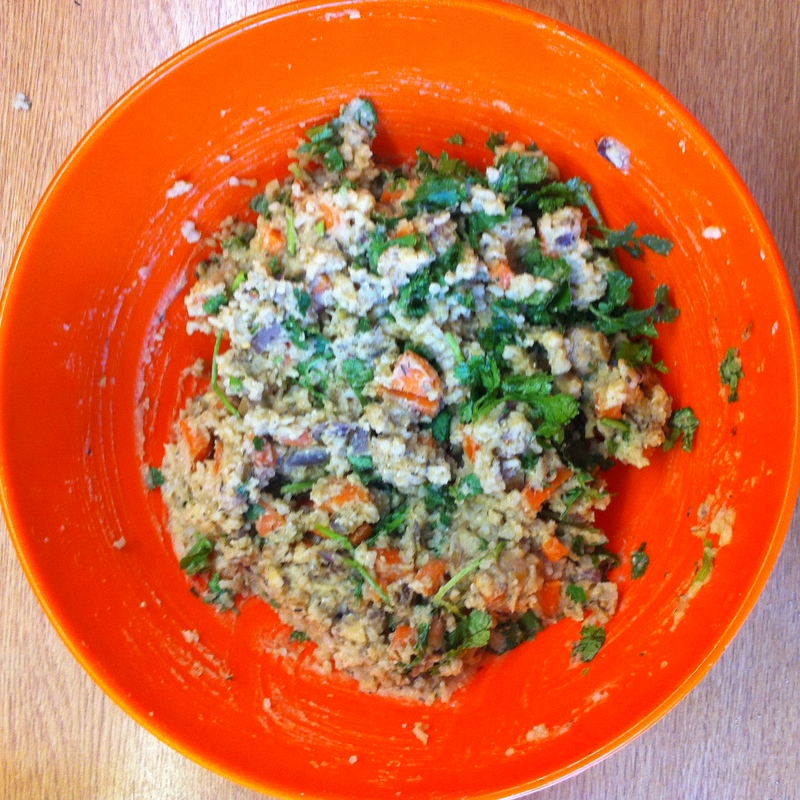 Transfer to bowl with vegetables, add walnuts, coriander and remaining 1 cup rice and stir to combine. 8. Season with salt and pepper. 9. When the mixture has cooled enough to handle, form into 12-16 burgers (I scoop the ingredients into a 1/4 cup, turn and tap to release, and then gently flatten). 10. Bake the burgers in the oven for about 40-50 minutes until crisp on the outside and golden brown, turning them over halfway through the cooking time. So there we have it, my freezer is now nicely stocked with a yummy choice of healthy burgers to enjoy over the next few weeks.